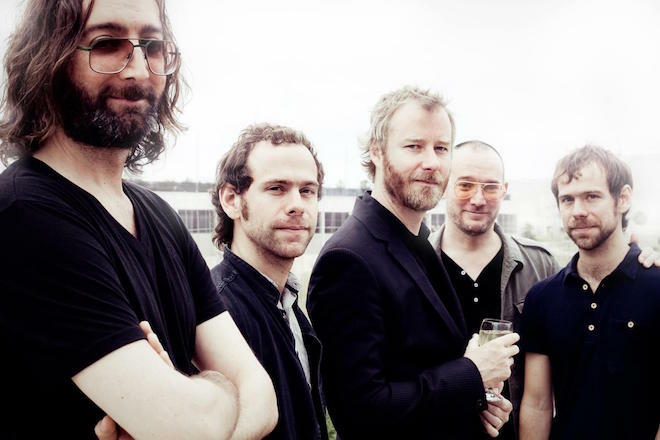 The second track from The National’s upcoming LP opens with a drumbeat evocative of Talking Heads’ “Warning Sign”. The similarities end there: “Guilty Party” hearkens back to the band’s most melancholy music (take the second half of High Violet, for instance). Like so much of The National’s best music, despair and hopelessness are rendered not in agony but in lucid reckonings, percussion clipping along crisply beneath Berninger’s twisted lullabies. “It’s nobody’s fault,” he sings, a line that offers far less comfort than it should. “Guilty Party,” after all, is not an apology so much as it is an acknowledgment of the inevitable frailty of relationships. Sleep Well Beast, the band’s seventh studio album, is out September 8 on 4AD.